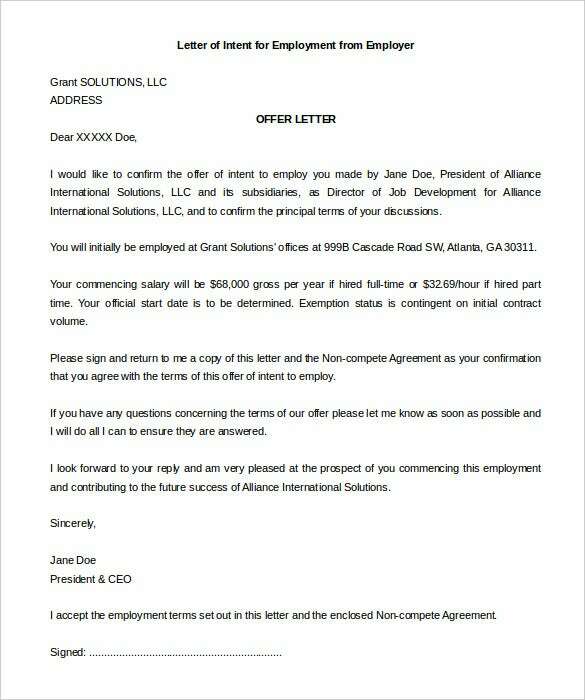 An employment letter of intent is a courteous gesture to be sent with your resume to your prospective employer. 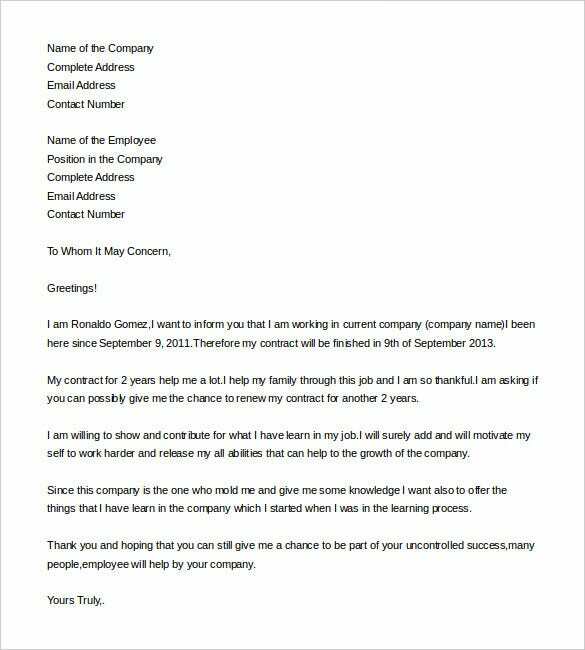 The letter of intent for a job, as it is also known as, the LOI would provide major insights about the applicant to the hiring manager- such as his work experience, his qualifications or talents at a glance and you would also explain the reason behind choosing that particular company. 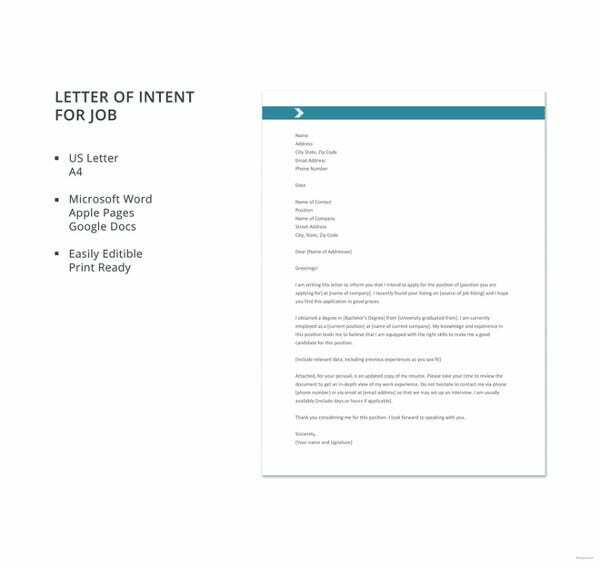 Take to an employment letter of intent format template when you need help in constructing a professional letter of intent here. You will have a standard idea on the arrangement and context of text used here from the readymade template. 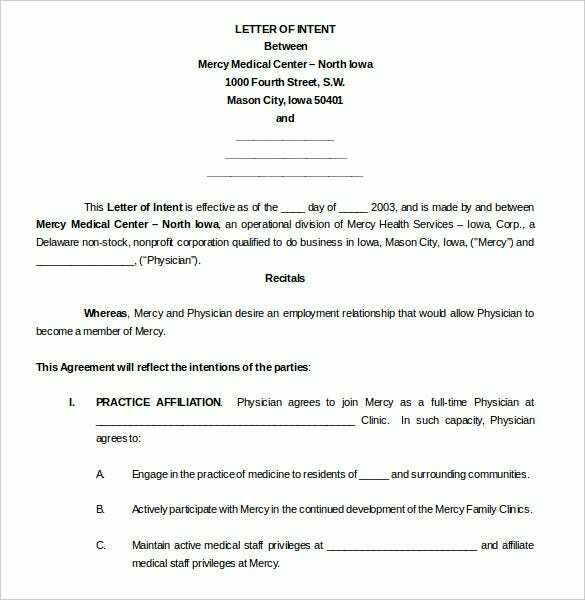 You may also see Letter of Intent Examples. 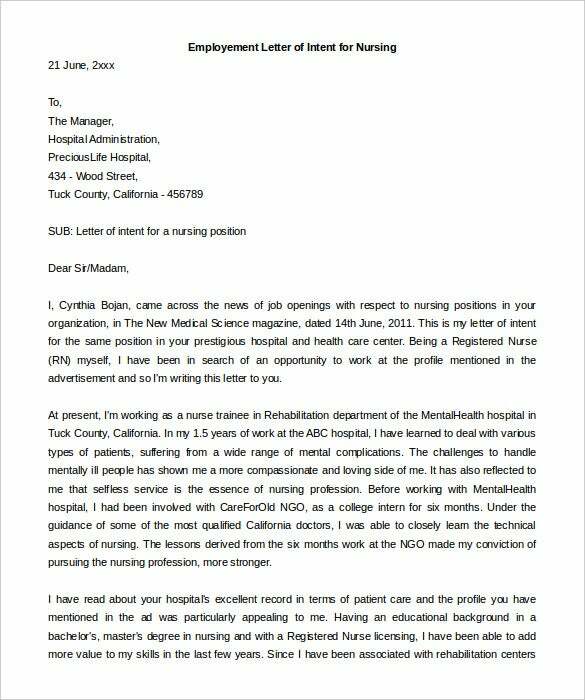 The sample editable letter of intent nursing employment template is written when applying for the job of a nurse that has been advertised in the newspaper. The templates can easily be used in the form of a guide. 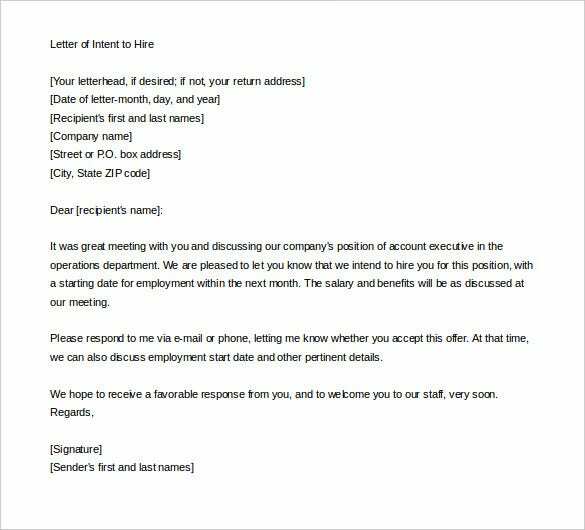 You may also see Sample Free Letter of Intent Templates. 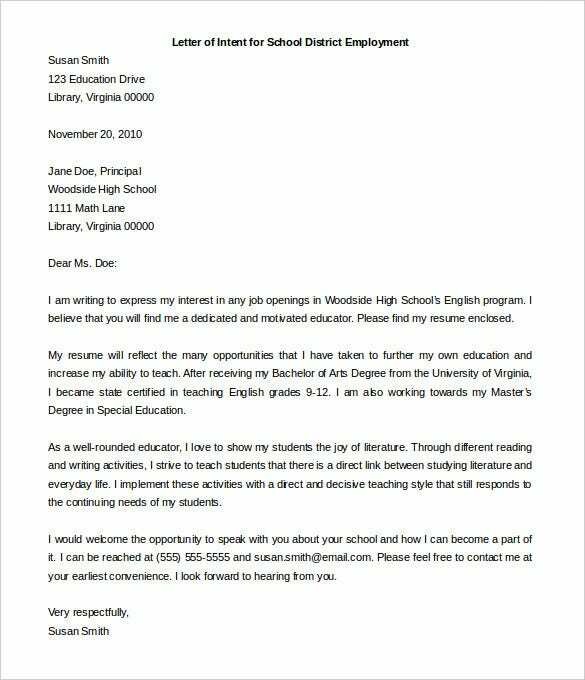 This letter helps people looking for employment in district schools. This file in Word format instructs and shows you the content needed for one and how to write it. 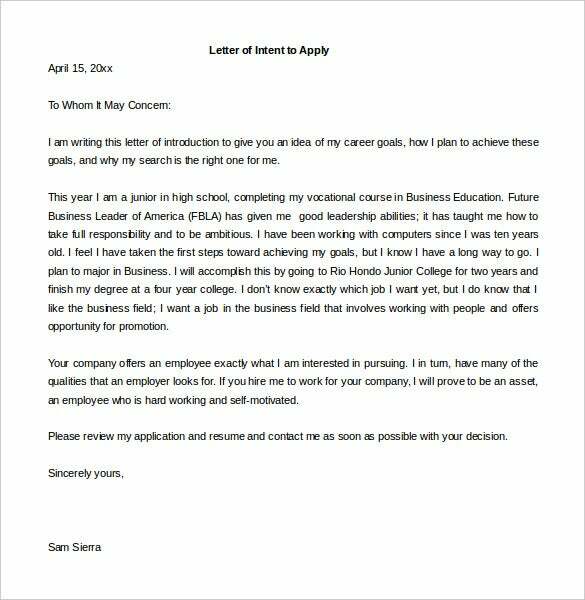 Why Do You Need Employment Letter of Intent Templates? Employment letters of intent are written by the employees and they are sent along with resumes samples. 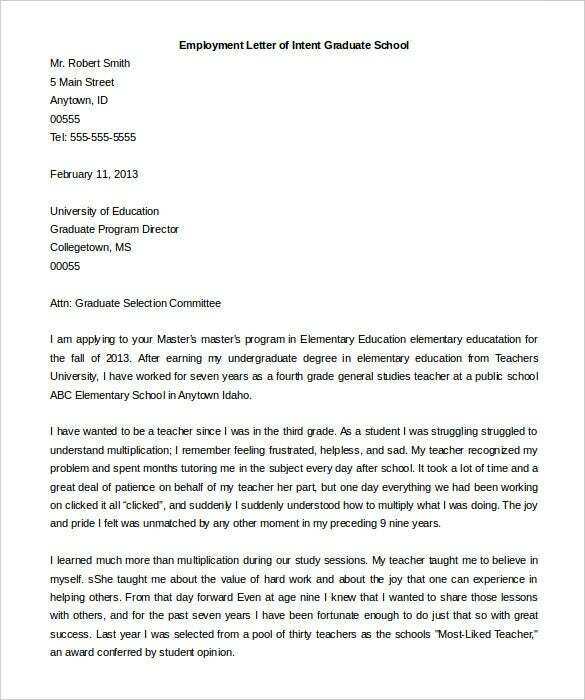 These letters offers a quick idea of the major inclusions of the resume. They are also called over letters and they speak about objectives, skills, career goals and talents of the employees preferred by an organization for offering the best job position. 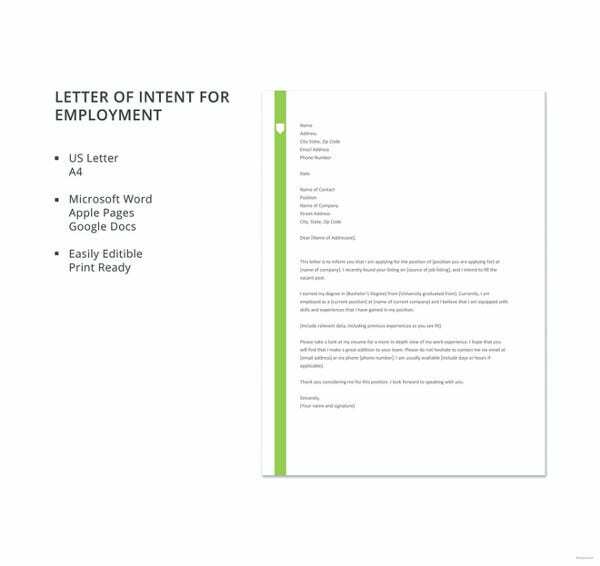 When Do You Need Employment Letter of Intent Templates? 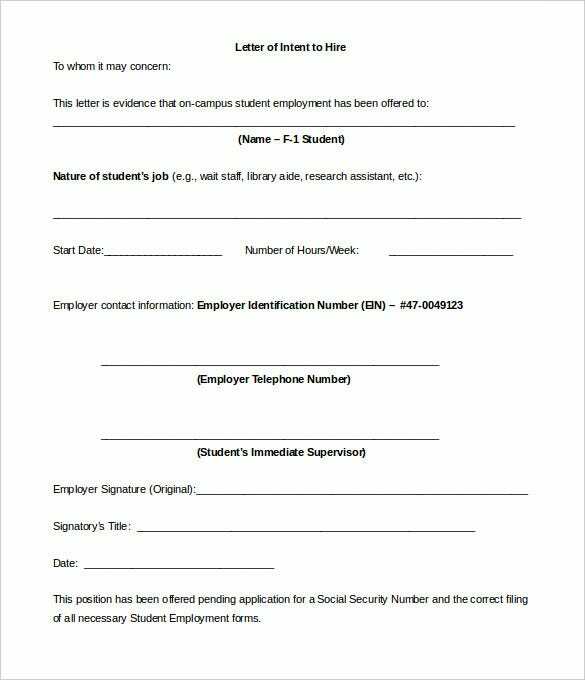 Employment letter of intent templates are needed for writing a courteous letter of intent that needs to be sent along with the resume to the prospective employers. The templates are used for creating employment letters of intent that provide insights about the applicants to the employers like work experience, talents and qualifications. 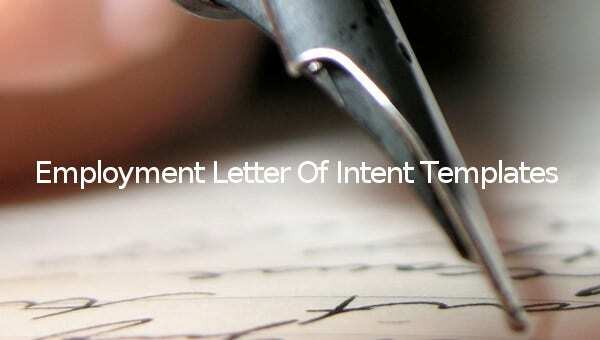 What Are the Benefits of Employment Letter of Intent Templates? These templates help the candidates in focusing on their genuine interest and personal qualities in different roles within a company. These templates have different blank sections for filling in introductory statement, the skills and the qualifications of the applicant and a call to action inviting the readers to go through the resume format very well and continue with a follow up.